The book subscription that delivers a British Experience. Fernweh Fiction combines the love of travelling with the love of reading, all from the UK! When you are reading a British book, do you imagine yourself in an English castle? Or by a British beach? Or even in the capital, London? Do you love all things British? Have you always had a penchant for British tea? 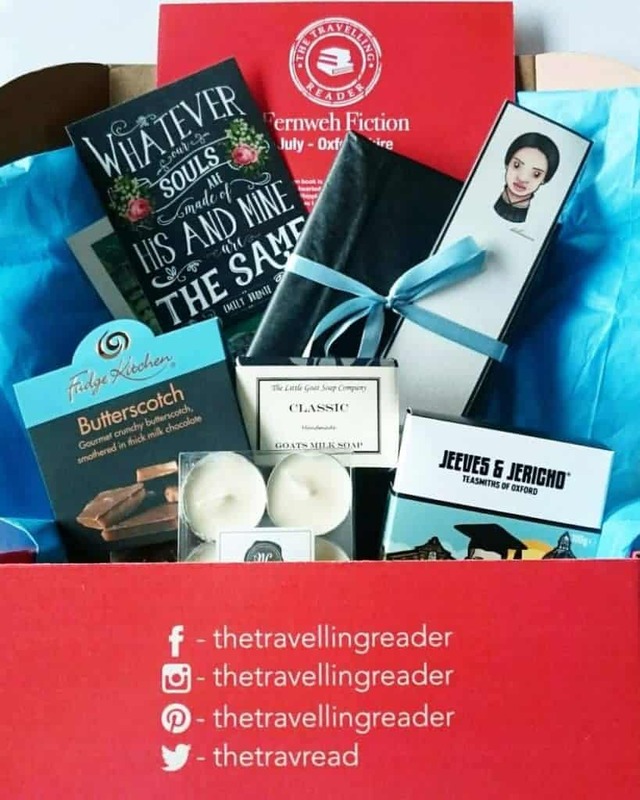 Your search for the perfect Brit-box has ended! Fernweh Fiction delivers a monthly fiction book and place-related items from the book’s setting. So, for example, for a book set in London, you will receive London gifts! Fernweh Fiction chooses a new book and destination within the UK each month. a bookmark AND some rather spiffing gifts either book-related or place-related supporting local UK businesses. Guaranteed four gifts each month as well as a book. Love Britain? Love Reading books? LOVE Fernweh Fiction. Come on a reading journey! Price £35 for one-off or gift subscription. Postage and Packaging £2.90 for UK. International shipping available – prices on the website. How would you rate The Travelling Reader ?